Gurpreet received her J.D. from the University of Western Ontario, where she was an active member of the community. 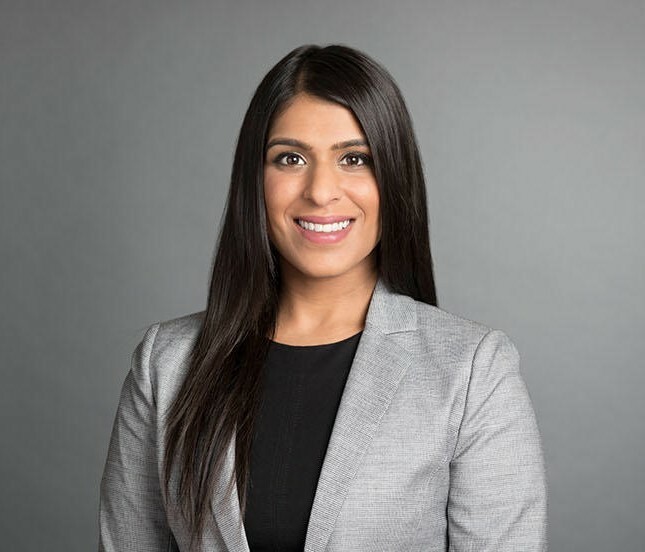 In her final two years of law school, Gurpreet served as a Supervisor at the Community Legal Services Clinic and was the Director of the Small Claims Court Project, servicing the needs of the London community and surrounding area. Gurpreet was also the President of the South Asian Law Students Association during her time at Western. Gurpreet continues to be passionate about issues surrounding access to justice and diversity in the legal profession. Aside from her legal interests, Gurpreet enjoys travelling, spending time with friends and family, and reading cheesy historic romance novels any chance she gets.